I have a ‘thing’ for reunion stories, and I really enjoyed the complex characters, and interwoven relationships in this particular reunion story, In Twenty Years. Opening twenty years ago, at Penn, a group of friends are sharing a house and wondering what the future will bring. Twenty years later, the woman who was always the cohesive force of the group – Bea – is dead, and on what would have been her fortieth birthday, the rest of the group returns to the same house. Secrets and lies abound. Relationships past and present are deconstructed and reconfigured, and at the center of it all is Bea’s driving force. She may be dead, but her presence is felt as the once-friends, now essentially strangers begin the truth-telling that must occur before forgiveness and forward movement can occur. It’s interesting seeing what each of these people were, and what they each become – how life isn’t completely sweet for the college sweethearts Catherine and Owen, and how Lindy (a musician) and Colin (plastic surgeon) both have to daily confront both youth-culture and their own youthful wishes, wants, and indiscretions, and how Annie portrays a life online that is really nothing like the truth. These people, depending on your age, could be your parents, your cousins, your younger/older siblings, or your contemporaries, but each of them feels supremely real, perfect in their imperfections, and relevant both to the story as a whole, and the world beyond the pages of any novel. We may not know these characters, but I’m betting everyone of us knows someone like them, or is someone like them. 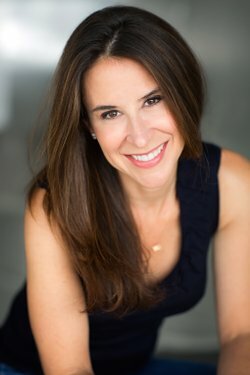 Allison Winn Scotch does a great job of making twenty-somethings sound young but not stupid, and making forty-somethings sound age appropriate as well. The voices of the characters mature but remain identifiable. I appreciated that nuance. This is a novel that entertains, yes, but it also makes you think – about who you were, and who you are, about regret and forgiveness, and, ultimately, about the choices each of us makes every time we must face a hard truth. Brilliant writing. Great characters. Read this book. Goes well with a watermelon, arugula and feta salad, with iced tea – or Mexican take-out and cheap local beer… depending on your age. 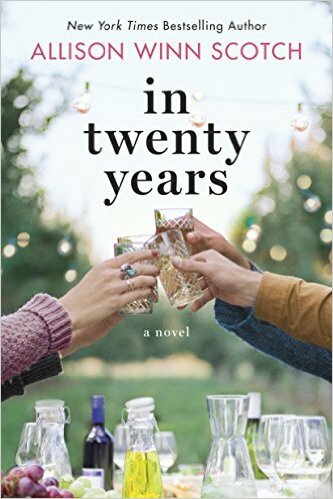 Review: In Twenty Years, by Allison Winn Scotch by Melissa Bartell is licensed under a Creative Commons Attribution-NonCommercial-ShareAlike 4.0 International License. I recently had my 20 year high school reunion … this seems like the perfect book to read at this point in my life.